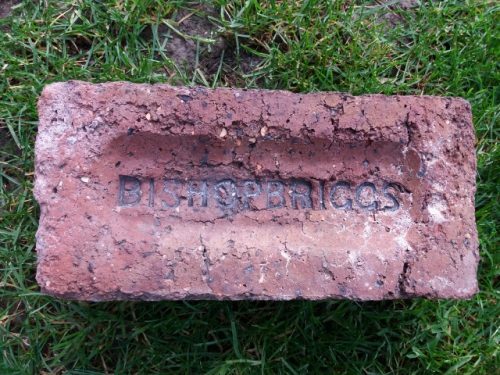 Found by Arnie Faichney in the Airdrie area Bishopbriggs Brickworks, Bishopbriggs, Lanarkshire . . . .
Found by Andrew Gemmell in the Milngavie, Glasgow area There is a very slight difference between this example and my other very similar brick with regards font size. 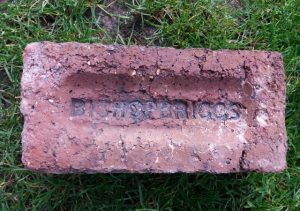 Summerston Brickworks, Balmore Road, Wester Balmuildy, Glasgow Alternative(s) Milngavie; Bishopbriggs; Brick Works. . .
Found in Airdrie. 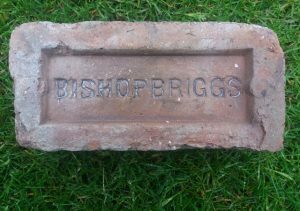 Bishopbriggs Brickworks, Bishopbriggs, Lanarkshire. 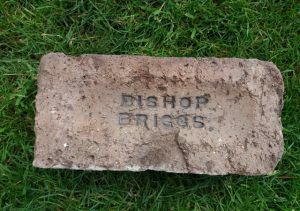 . . . . Below – The same stamp on a larger brick. 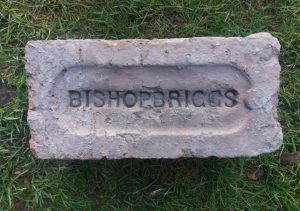 Found at Garnqueen, Glenboig by KC** Bishopbriggs Brickworks, Bishopbriggs, Lanarkshire. 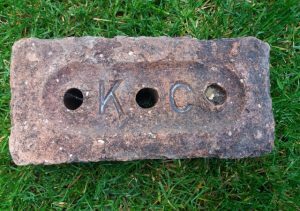 . . . .
Found Helensburgh Round ended frog – 3 cores Keir & Cawder, Bishopbriggs Works, Glasgow. Alternative brickworks include: Blackhill Works, Glasgow. Holytown Works, Glasgow. Summerston Works, Glasgow. Cadder Works, Glasgow. 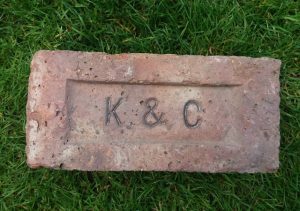 Found in Fife area – JC Keir & Cawder, Bishopbriggs Works, Glasgow. 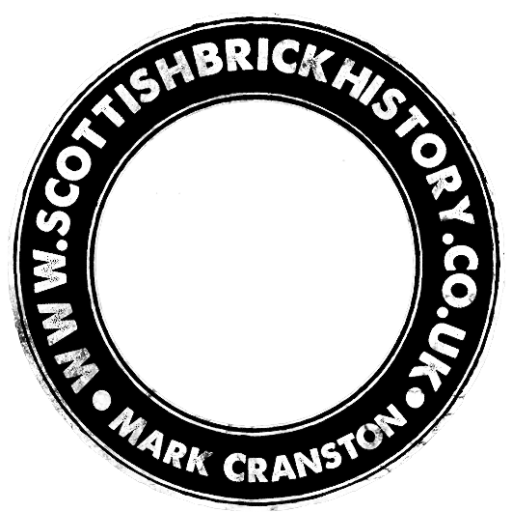 Alternative brickworks include: Blackhill Works, Glasgow. Holytown Works, Glasgow. 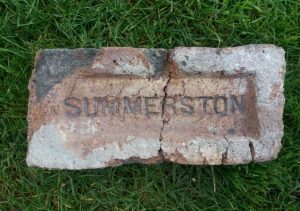 Summerston Works, Glasgow. Cadder Works, Glasgow. .